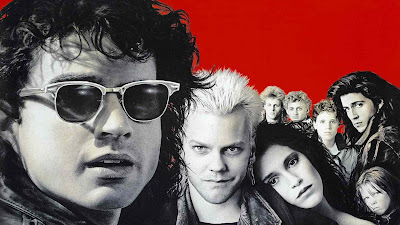 It's been almost 30 years since we were first introduced to Joel Shumacher's cult classic film, "The Lost Boys", and thanks to The CW, we're getting more! Last week Deadline reported that Rob Thomas, not the Matchbox 20 guy, the awesome "Veronica Mars" & "iZombie" guy, would be bringing the show to life. The new adaptation of the show is being planned to have a seven season run, spanning 70 years, with each season covering 10 years. As the world will change around our vampire Lost Boys, they of course will stay the same, exploring what it's like to be immortal. No word yet on when "The Lost Boys" TV show will air, but we can't wait for the announcement!